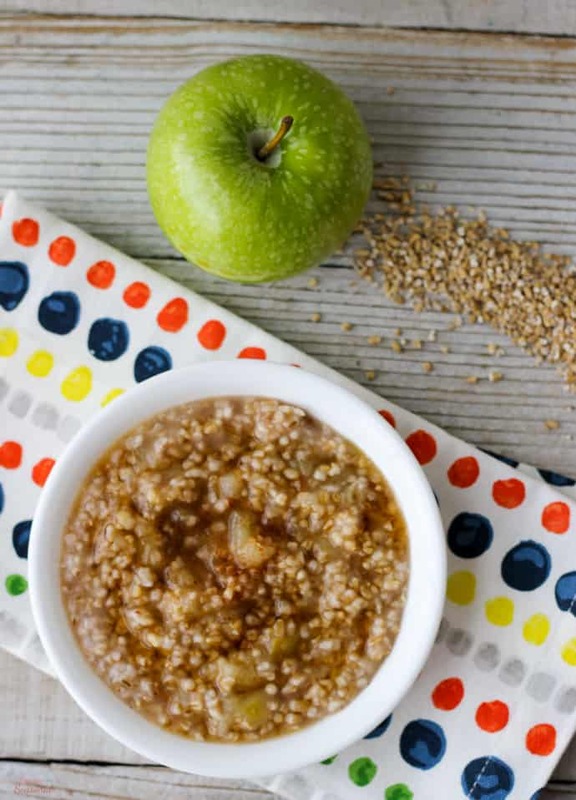 Start the morning right with this delicious and healthy Crockpot Express Apple Oatmeal! Use steel-cut or rolled oats in the pressure cooker (Crockpot Express/Instant Pot) for a quick breakfast. I’ve never used steel cut oats for my oatmeal, but I wanted to try making oatmeal in my Crockpot Express, so I took the plunge! 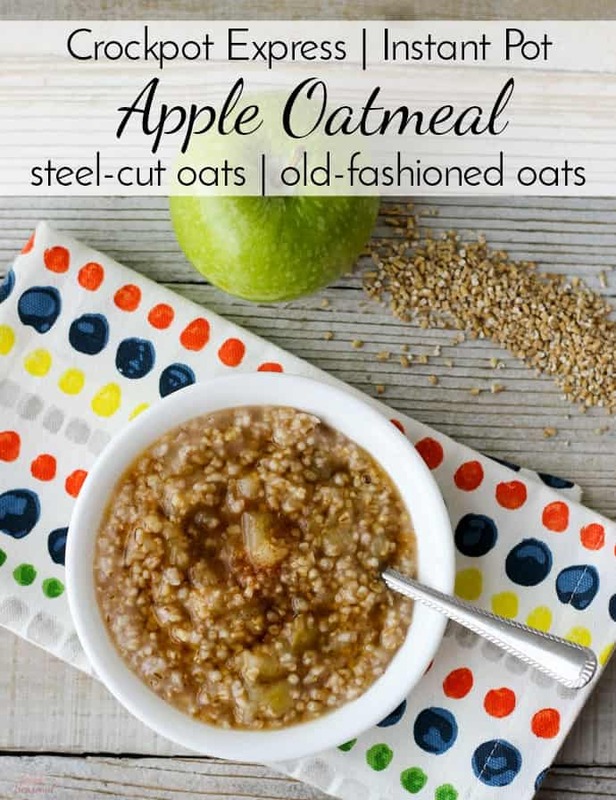 I figured that steel cut oats would hold up well in a pressure cooker, and they are the healthier option anyway. 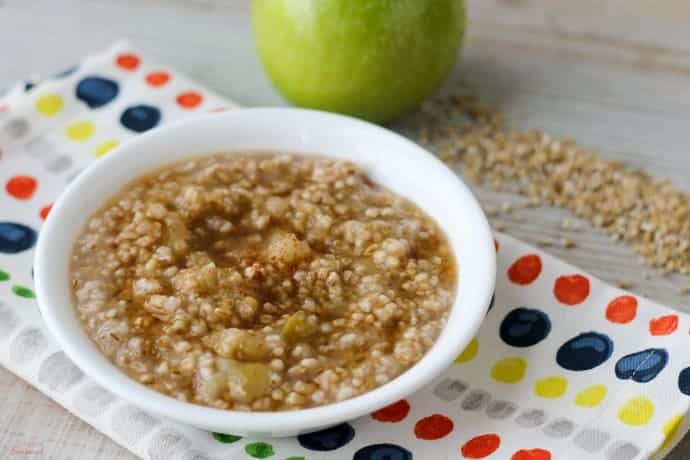 I took my popular recipe for Overnight Apple Cinnamon Oatmeal in the slow cooker and tweaked it to make it Crockpot Express Apple Oatmeal. (works in the Instant Pot, too!) I also wrote the recipe for only two servings, so it’s perfect for a quick and healthy breakfast. It’s a great recipe to try when you’re first learning to use a pressure cooker. Start the morning right with this delicious and healthy oatmeal! Use steel-cut or rolled oats in the pressure cooker (Crockpot Express/Instant Pot) for a quick breakfast. Place all ingredients in the cooking pot, close the lid and steam release valve, and press Beans/Chili (manual.) Adjust time to 6 minutes. After cooking, do a natural pressure release for 10-15 minutes. Stir in sweetener of choice and serve warm! Press Steam (manual) and cook for 3 minutes. NPR for 5 minutes. Overall, this takes about 20 minutes to go from preheat to pressure release. 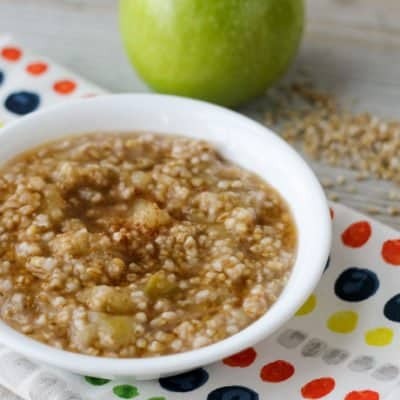 So toss the ingredients for your Crockpot Express Apple Oatmeal in the cooker, go take a shower and then come back to eat a yummy and satisfying breakfast! Still learning about your Crockpot Express? 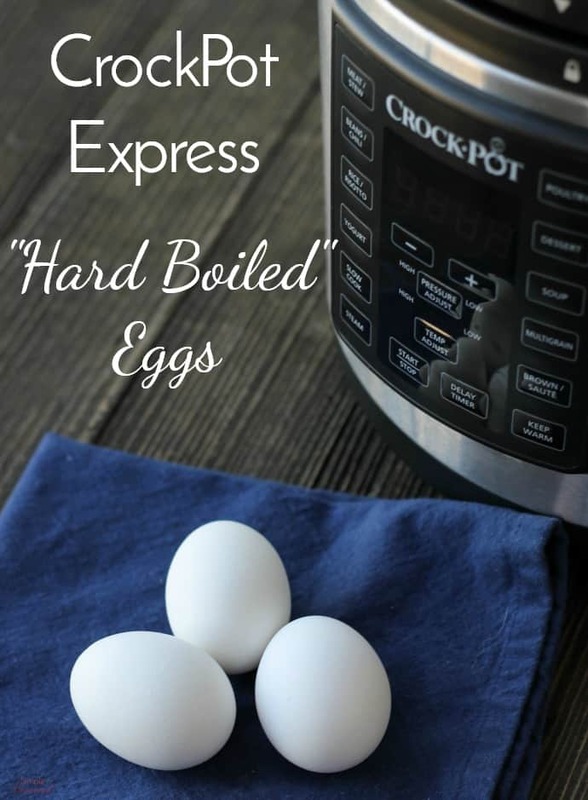 Download a printable Crockpot Express Cooking Guide here (and get answers to frequently asked questions, or test your new CPE with an easy recipe like Crockpot Express Hard Boiled Eggs! I just put 4x this recipe in and set the time for 8 minutes instead of 6… I’m wondering if the time needs to be adjusted for larger quantities and by how much? FYI, I’m using the 8 qt CPE. Thanks in advance. I’ve never tested that large an amount of the oatmeal, and I use the 6 qt. so I can’t answer that for sure. The best thing to do would be start with a lower time and then open and test it. You can always add more time if needed. The main time difference will be the preheat time with a larger batch like that. Your oatmeal recipe was the first thing I cooking in my CP IP. I have wanted a recipe for my crockpot forever! I really like oatmeal, I just bought my IP and can’t wait to try a pumpkin version next. I just used the exile for old fashioned oats on steam for 3 minutes exactly as you described it. I got the E6 error. Any idea why or recommendations for next time? Hmmm…did some of the oatmeal get stuck on the bottom of the pot? Sometimes that can trigger an E6. If you scrape the bottom well and add a little more liquid, it should allow you to finish the cycle. (You may need to unplug the machine and plug it back in to “reset” it as well.